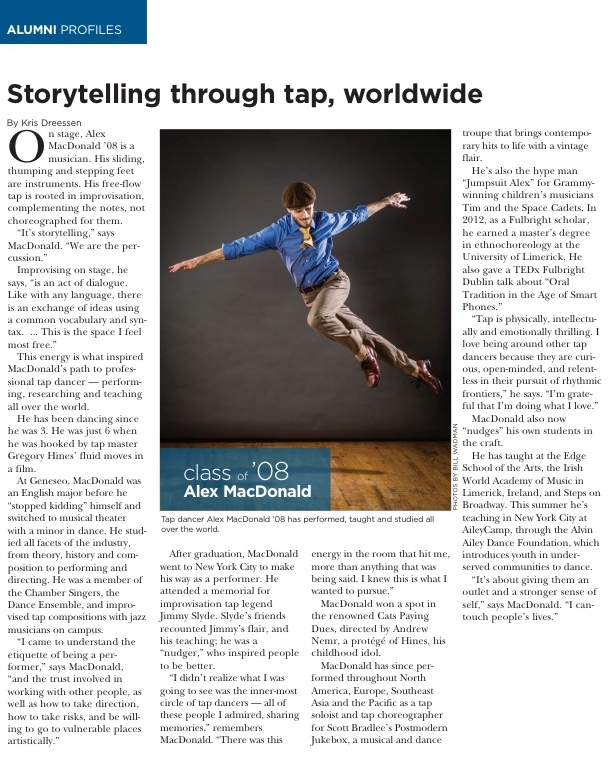 Featured alumni profile entitled, "Storytelling Through Dance, Worldwide," in the Summer 2017 edition of the Geneseo Scene. Article by Kris Dreessen, photograph by Bill Wadman. Featured in the 'Renters' column in The New York Times along side my roommate, Nick Moran. Article by Kim Velsey, photograph by Tony Cenicola.